So, yes, there's been an apology but that doesn't erase the ugliness of the words or their impact, not strictly on Johnny Weir who seems tough enough to take it (although I wish he didn't have to be) but cumulatively on the other boys and girls out there who might take societal gender policing messages to heart and be less daring, less themselves because to be true to oneself so often seems to mean facing off against a world of intolerance. When Access Hollywood's guest correspondent Dorothy Hamill read the small-minded comments to Weir he responded by saying, “Every little boy should be so lucky as to turn into me.” Agreed. 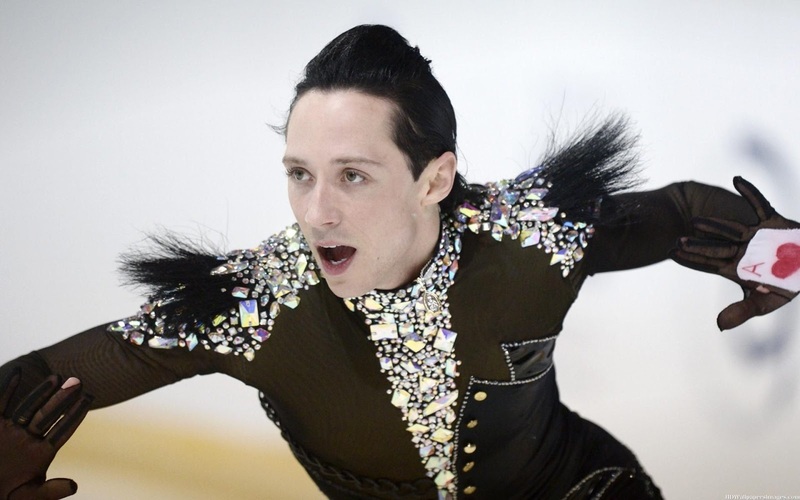 We should all be as unafraid to be our genuine selves as Johnny Weir is! I love, love in this clip from his TV show Be Good Johnny Weir, his advice to a young female skater having trouble with her jump that, "I was a taller girl too once and I had to learn to be comfortable with having longer arms, longer legs, everything." You don't have to be good, Johnny, but stay brave. Stay gold!